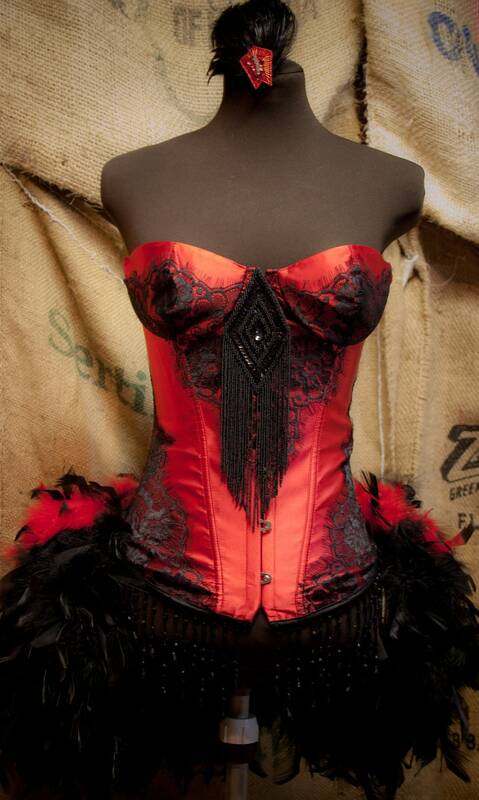 *Black feathers can go all the way around the corset for an extra $40. GREAT DEAL! Beautiful beaded-sequined applique, and hand-beaded fringe top off this costume. Making it absolutely gorgeous and so much fun to wear! The costume is not quite such an orange/red color, like in the photos, but more of a true red (a little darker). For some reason the lighting was difficult on this one.